Throughout the first half of the 20th century, Hartford played an important role in the national movement to establish outdoor recreation spaces within cities. Building on the initiative of the Reverend Horace Bushnell in the 1850s, Hartford transformed a virtual wasteland along its Hog River into America’s first publicly funded city park endorsed by popular vote. Largely completed by 1864, the park was an oasis in the midst of a growing industrial and commercial municipality. Inspired by developments in Europe, social reformers in the United States sought to create public green spaces within urban environments as a means to promote public health, moral uplift, and democratic access to forms of recreation deemed respectable by middle- and upper-class champions of the movement. 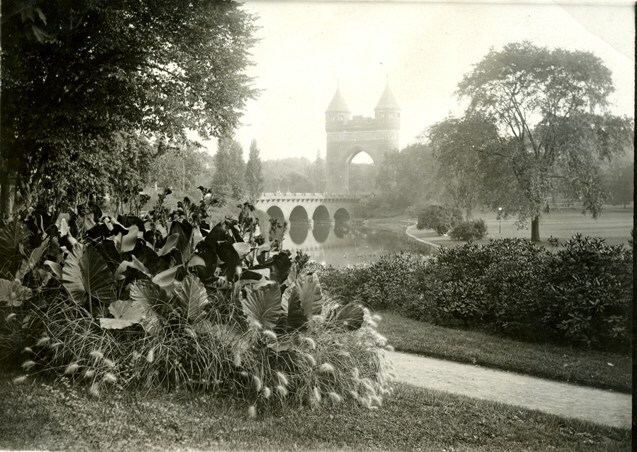 Designed by landscape architect Jacob Weidenmann, the City Park, later renamed for Bushnell, became the cornerstone of a chain of parks, large and small, throughout the city. This effort reached its zenith around 1900 under the direction of two visionary superintendents, Theodore Wirth and George A. Parker. For nearly half a century under their expert direction, and drawing on designs by the Olmsted firm, Hartford’s chain of parks and projected linking parkways became a model for cities across the nation, as they, too, sought to introduce space for relaxation and recreation into increasingly crowded urban settings. Inspired by the city’s initiative, public benefactors like Henry Keney, Albert Pope, Charles Pond, and Elizabeth Colt added large tracts, either as outright gifts to the city or under private funds, for additional parkland dedicated to a wide variety of uses. These were supplemented by purchases or property exchanges by the city government. Golf courses, baseball diamonds, tennis courts, children’s gardens, and boating and picnic facilities, as well as experimental gardens and the nation’s first public rose garden, afforded the city’s populace at all social and economic levels the opportunity for healthful recreation. 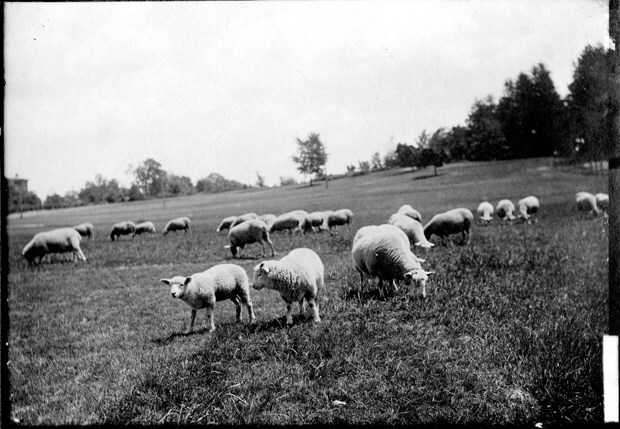 The Hartford History Center holds the Hartford City Parks Collection, which documents the growth and extent of the city’s pioneering efforts to create and develop its municipal parks. In addition to some 25 boxes containing correspondence and essays by members of the Park Commission and Superintendents Wirth and Parker, the collection includes papers related to Parker’s participation in the Hartford Committee on the City Plan, its Juvenile Commission, and a host of other city and nationwide organizations related to the parks movement and promotion of recreation for urban growth. The Park Commission’s papers also include documentation of its oversight of the city’s cemeteries, allowing researchers to delve into such details as plot sales and the erection of grave monuments. The collection also features material on herbariums (with special emphasis on ferns found in the city’s parks), scrapbooks of articles about municipal parks in Hartford and elsewhere, and a collection of reports by the park commissions of various American and European cities. Its visual materials include over 500 glass negative views of parks and streetscapes as well as a large collection of half-tone printing blocks, many of which have been cross referenced to the original park report or other publication that they illustrated. Especially rich is the archive’s collection of maps, blueprints, and drawings of cemeteries, park structures, and parkways (actual and projected) of which over 150 have been inventoried and described. Researchers use the collection in a variety of ways to explore the capital city’s history. For instance, one might investigate the 190 varieties of roses planted in 1903 at Elizabeth Park by combing through the collection’s colored lantern slides and nursery order lists. Brenda Miller is curator of the Hartford History Center at the Hartford Public Library. Baldwin, Peter C. Domesticating the Street: The Reform of Public Space in Hartford, 1850-1930. Columbus, OH: Ohio State University Press, 1999. Alexopoulos, John. The Nineteenth Century Parks of Hartford: A Legacy of the Nation. Hartford, CT: Hartford Architecture Conservancy, 1983.